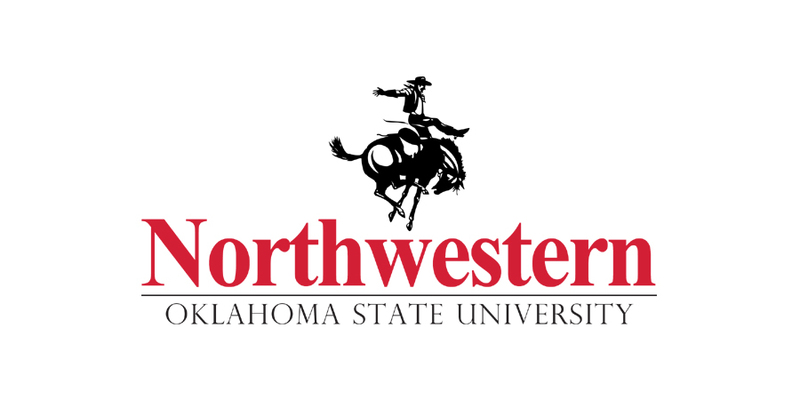 ALVA, Okla. – If success is measured in depth of talent, the Northwestern Oklahoma State University rodeo teams have it. Through the rigors of the 2017-18 Central Plains Region season, both Rangers teams finished second overall and have earned the right to take full teams to the College National Finals Rodeo, set for next month in Casper, Wyo. The 10-event campaign came to an end this past Saturday at the Oklahoma Panhandle State University rodeo in Guymon, Okla., and Northwestern put a nice bow on a season package. There were five region titlists and four other contestants who finished second. The biggest praise coming out of the Panhandle State event was Jenny Massing of Ponoka, Alberta, who clinched the region’s all-around title after winning goat-tying and placing in barrel racing. She ended the season No. 2 in the goat-tying standings but had an insurmountable lead in the all-around after securing enough points in barrel racing. She also had a hand in her success. Just before the season began last fall, she acquired a solid barrel racing horse, a mare she calls Playa. Horsepower is key in rodeo, and Massing has it. Now she will have both horses with her as she battles for the coveted titles that are available at the college finals. The women will field a full team of four ladies, and they will compete in five events. The men will feature six cowboys competing in seven events. That’s a huge drawing card for the Rangers as they chase the elusive team titles. Besides Massing, the Rangers women feature Sara Bynum of Beggs, Okla., who won the region’s barrel racing, and Taylor Munsell of Arnett, Okla., had a second-place finish in breakaway roping. The men were led by the team-roping tandem of Maverick Harper of Stephenville, Texas, and Tanner Nall of Colcord, Okla., who won the region. Steer wrestler Talon Roseland of Marshalltown, Iowa, won the regional crown, while Cody Devers of Perryton, Texas, was the reserve champ. “I was very proud of them,” Graves said. “On the men’s side, we had competitive teams before, but they fell off in the mid-spring, and we would always get passed up. I told the guys this year there wasn’t room for a lot of error; we can’t have a bad rodeo, and we didn’t. Midway through, we were actually winning the region. In Guymon, Harper and Nall won the team roping crown to clinch their regional title, while header Cole Patterson of Pratt, Kan., won the first round with his partner, Jace Steenhock of Fort Scott (Kan.) Community College. Ethan Price of Leedey, Okla, finished second in tie-down roping, while Wylee Nelson of Faith, S.D., placed in the first round but failed to score a time in the short round. Roseland won the first round and finished third overall in steer wrestling, while Riley Westhaver of High River, Alberta, placed fifth and Riley Wakefield of O’Neill, Neb., ended up sixth. Massing led the women with her first-place finish in goat-tying and sixth-place run in barrel racing. In goat-tying, she was joined by Ashton Jonson of Benton, Iowa, who placed in both rounds to finish second overall. Meghan Corr of Hermosa, S.D., made the final round by finishing third in the opening round. Massing was joined in the barrel racing short round by Alyssa Gabrielson of Perham, Minn., who finished second in the first round. In breakaway roping, Brandi Hollenbeck of Hutchinson, Kan., won the title with a two-run cumulative time of 5.5 seconds. Baillie Wiseman of Aztec, N.M., placed in a tie for second. Taylor Munsell of Arnett, Okla., won the opening round in 2.3 seconds, while Brittany Cudworth of Warwick, N.D., was second.